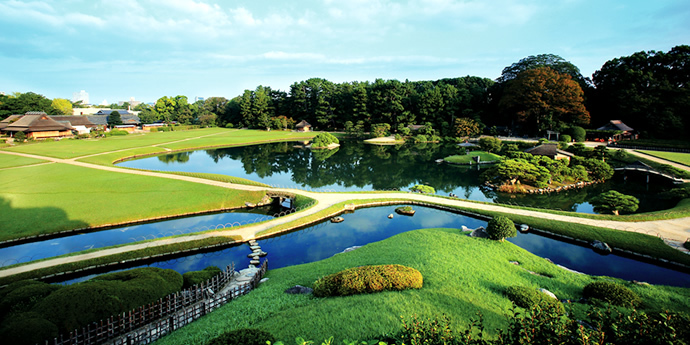 Okayama Castle was built by Hideie Ukita, the Okayama area’s lord, in 1597 and took eight years to complete. 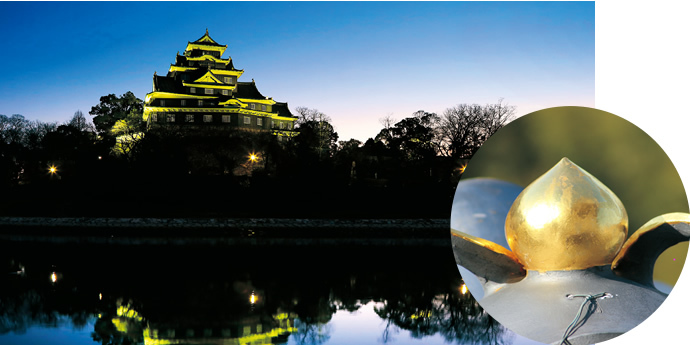 Utilizing the redirected flow of the Asahi River as protection from enemy attacks, Okayama Castle brought many merchants and craftsman to the area and affirmed Okayama City as a true castle town, paving the way for the development of present-day Okayama. 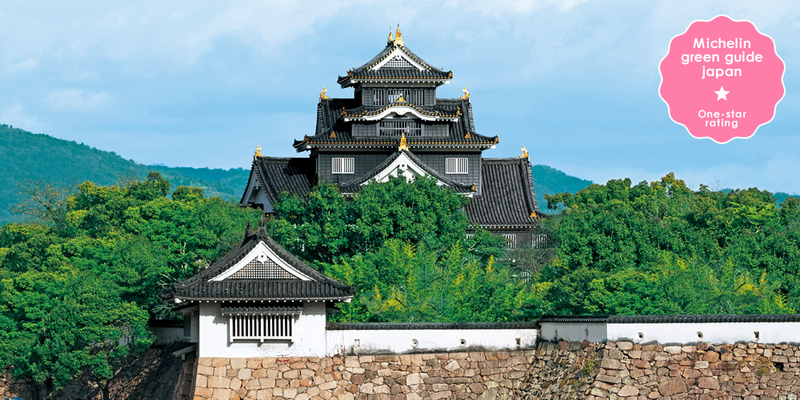 Under new owners, the castle continued to grow with buildings expanding with each era, making it one of Japan’s greatest castles. 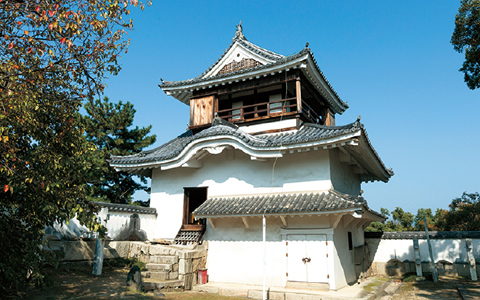 The outer walls of Okayama Castle’s keep (the building at the center of the castle) are made of boards coated with a black lacquer used as a preservative. This black color has earned the castle the nickname “U-jo” (Crow Castle) for its resemblance to a crow’s feathers. Although the tower was designated a national treasure before World War II, the keep was destroyed during the war and rebuilt in 1966. 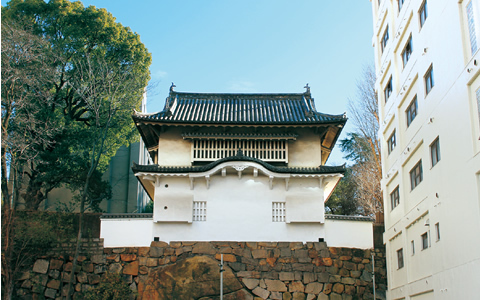 The only original buildings still standing today are the Tsukimi Tower and the Nishinomaru Nishite Yagura (Western Tower), both built for defense. 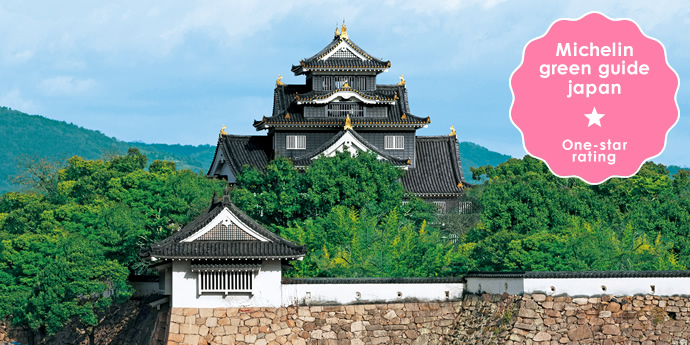 Rising high above Okayama City Center, Okayama Castle is a spectacular sight to behold. 5 minutes by streetcar from JR Okayama Sta. to “Shiroshita” and then 10 minutes on foot or 25 minutes on foot from JR Okayama Sta. 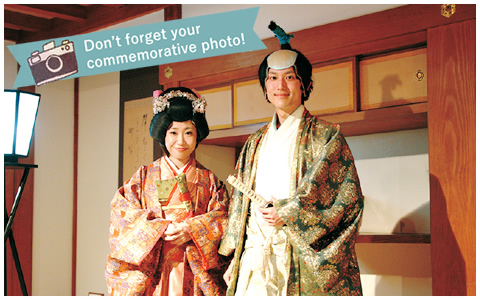 Dress up like a feudal lord or a princess for free. 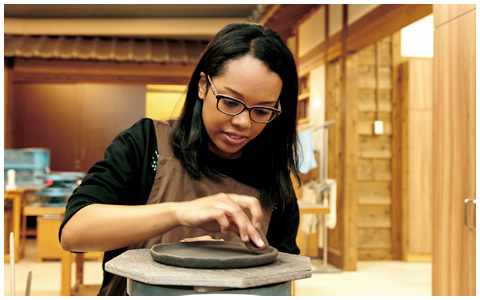 Try your hand at making pottery with 800 years of history. *Pottery created will be delivered 1–2 months later. Postage fees apply. 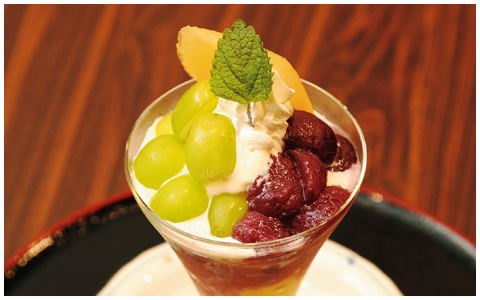 Enjoy a delicious parfait made with fresh Okayama fruit inside the castle. 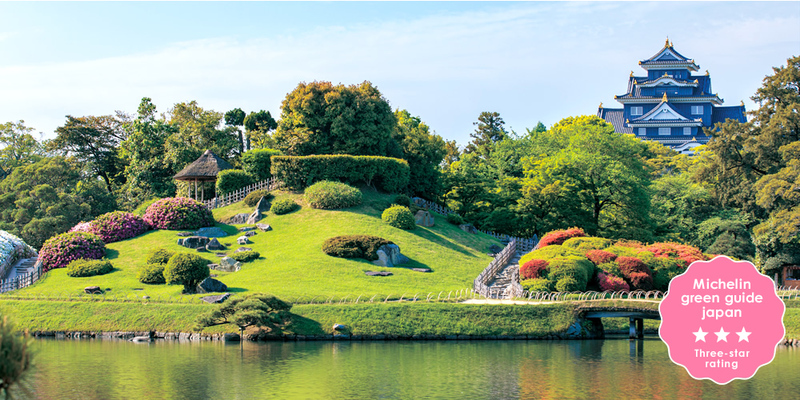 The view from atop Yuishinzan, the hill overlooking the garden, is a must-see sight! time—as a place of peace. 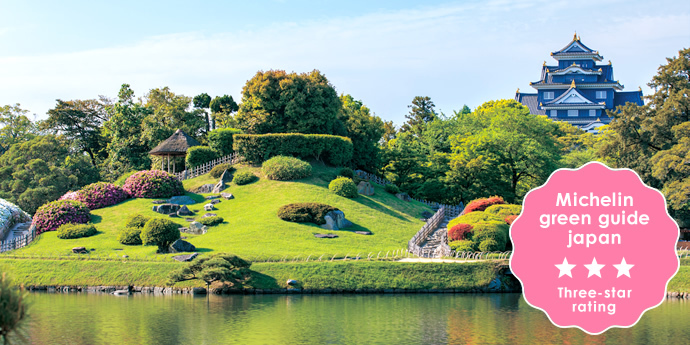 Covering some 14 ha, Korakuen Garden includes wide lawns and Enyo-tei House (built as living quarters) as well as hills, flowers, trees, Seiden (Rice Fields), and a teahouse. The garden incorporates a small stream of clear water pulled from the Asahi River. 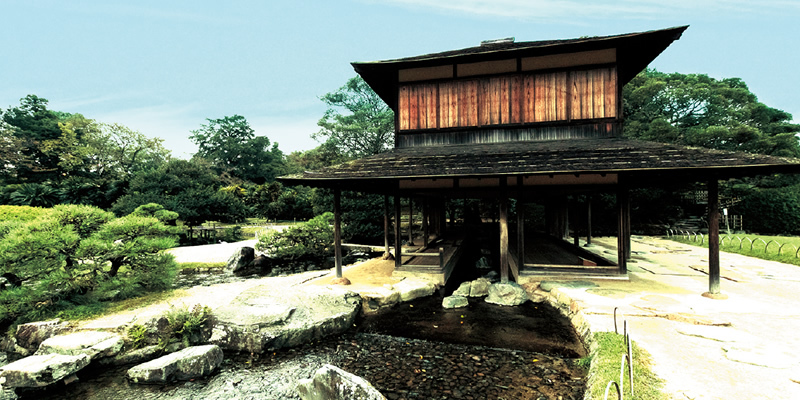 This stream forms a waterfall and a pond within the garden before returning to the Asahi River. Beautiful trees and flowers can be found throughout the park, offering visitors a unique scene that changes with the season, from cherry blossoms in spring to the brilliant colors of autumn foliage. Despite undergoing slight changes from one feudal lord to the next, the garden largely retains its original form to this day. Don’t miss the limited nighttime illumination offering a completely different landscape from the daytime. *Subject to change when events are held.